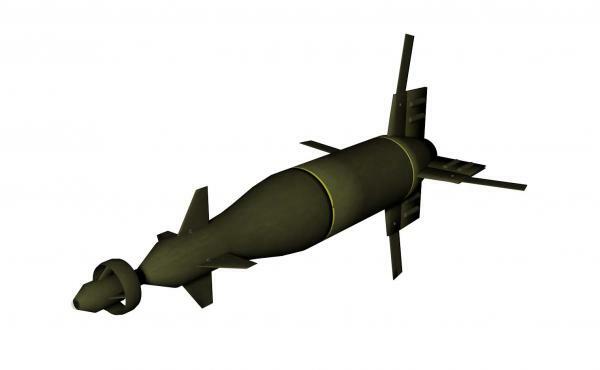 A US Paveway laser guided bomb with stabilizers in the "out" position. Designed in Hexagon and DS3.0. Included MATs and PP2 and OBJ file for easy use in Daz Studio, Poser and other 3D software packages. Download contains 1 Paveway missile prop, with textures\MATS. MeshWorks (7 years ago) Inappropriate? MeshWorks approved. Well done model and decent textures. Thank you. On the subject of weapons,may I suggest doing a depth-charge as a future project? ludoed (8 years ago) Inappropriate? nice detials. Thank you for sharing, I'm begining to have a good arsnel of weapons and bombs thanks to you. I really do appreciate that you sharing these. I'm not so good at making models. I made a helicopter with Hexacon and it took me forever to make it look right.